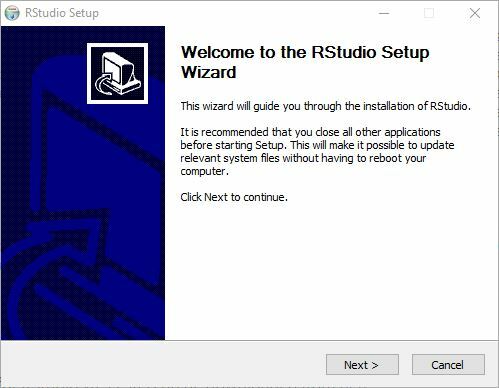 By default, RStudio is broken up into three windows. On the left is the Console, where we will write all of our script and see our outputs. The right portion is broken into two parts. On the top is the Environment. This will show you all of the variables you have set and their values. Miscellaneous things are stored on the bottom. For instance, all of our plots will be stored here, if we ask for help, it will display here, etc. As you can see, the Console shows all of the lines I have written as well as their outputs, and the Environment shows my two variables. A window will pop up. Paste the URL into this and click next. 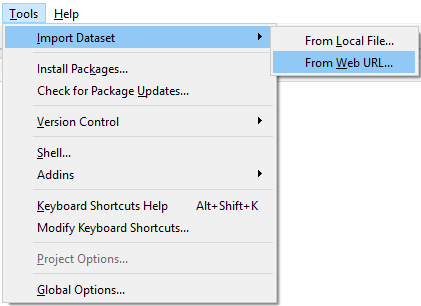 The Import Dataset window will open. 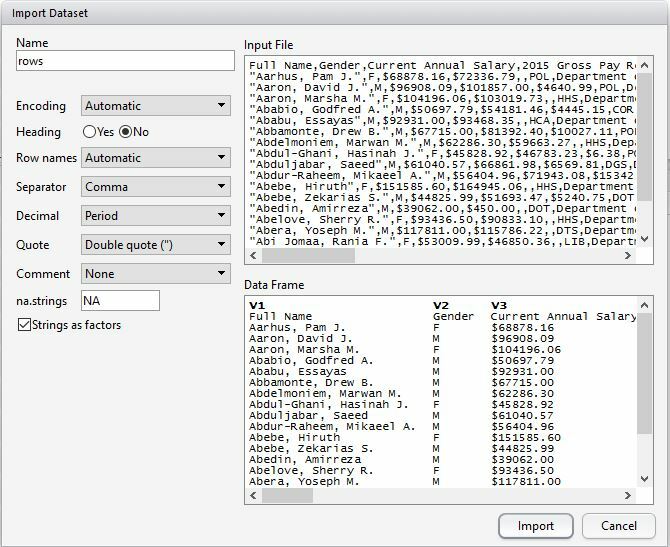 Here, we can give our data a name and make sure it gets formatted correctly. Click ‘Yes’ next to ‘Heading’ so that the headers (FullName, Gender, Etc) follow through. After that, click Import. The summary() function gives us the min, 1st quadrant, median, mean, 3rd quadrant, and max value for the column. Here, we can see that the lowest paid government employee in this county has an annual salary of $7,200, the highest paid has a salary of $303,100, and the mean salary is $72,460. I have a lot to learn about R still. I’m not convinced it will be a worthwhile tool for me, because I feel like Python can do all of this and more. 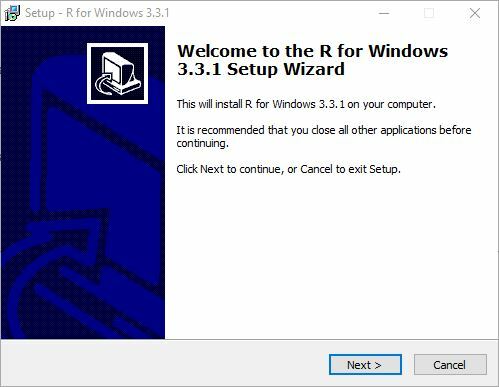 I am keeping an open mind and I’m excited to see what I learn about R, programming, and statistics along the way!